Gov. 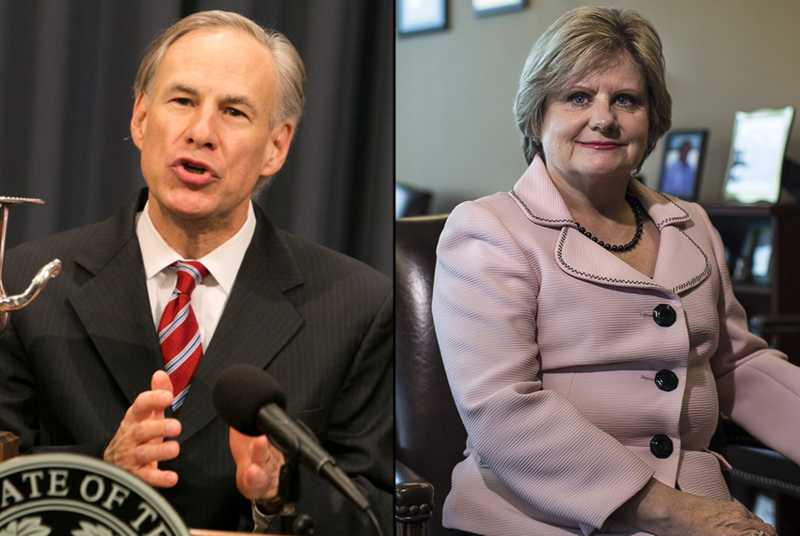 Greg Abbott's office is asking state agencies to take stock of their funds to Travis County as he further escalates his standoff with the county's sheriff, Sally Hernandez, over her new "sanctuary" policy. Gov. Greg Abbott's office is asking state agencies to take stock of their funds to Travis County as he escalates his standoff with the county's sheriff, Sally Hernandez, over her new "sanctuary" policy. The move suggests Abbott is searching for more ways to pressure Hernandez into ending the policy, which has drawn fierce GOP criticism. In a letter dated Thursday, Abbott budget director Steven Albright asked agency heads to detail "all funds (including any federal funds) your agency administered to Travis County, including any department of Travis County, in" fiscal year 2016. The letter asked for the information by Feb. 3. "This request includes, but is not limited to, contracts, grants, or any other payment of funds," Albright wrote. "The list should be complete with the amount of funds and the purpose of the agreement." The letter, which was obtained by The Texas Tribune, does not mention Hernandez but indicates Abbott is broadening his scrutiny of the county. He has threatened to cut off state funding if she continues with the policy, which would reduce her department's cooperation with federal immigration authorities when they request an inmate be flagged for possible deportation. Earlier Thursday, she showed no signs of backing down from the policy, which is set to go into effect Wednesday. In a statement, she said she "will not allow fear and misinformation" to be her guiding principles. Abbott's office did not respond to a request for comment on the letter. However, Lt. Gov. Dan Patrick seemed to confirm Friday that he and Abbott's office were taking a more expansive view of money that could be cut off to Travis County, home to Austin. "We're looking right now at all funds that go into that city," Patrick said in an appearance on Fox News. Fellow Democrats continued to rally around Hernandez as word of the letter spread. "Without resisting, bullying only gets worse," U.S. Rep. Lloyd Doggett, D-Austin, said in a statement. "Gov. Abbott is seeking to punish Travis County taxpayers to score political points. This is an unlawful act of intimidation that would jeopardize the safety of all Travis County residents."